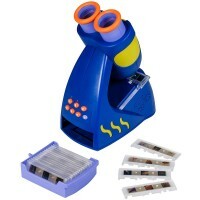 48 exciting prepared microscope slides set: the more specimen to observe with your kids microscope - the better! 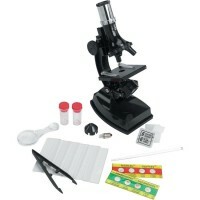 Microscope! 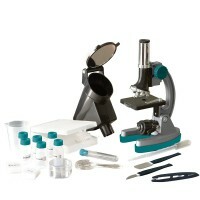 Microscope! 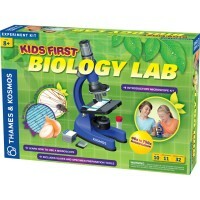 Every kid is eager to try on the real scientist device and play a big master of the tiny world. 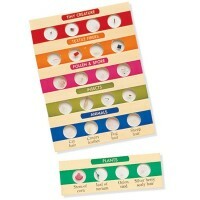 Prepared Microscope Slides Combo Set (48 Specimens) by Learning Resources expands the horizons of this tiny world tremendously. Did you know how differently camel's hair and hare's hair look like? And compare it to the fowl's feather! 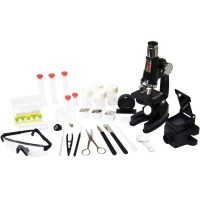 With Prepared Microscope Slides Combo Set (48 Specimens) children can do some more comparing: butterfly's leg and a honey bee's leg or hemp fiber vs. bemberg! And that's not all! 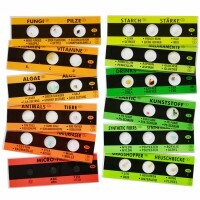 This is a 48 specimen slide set: you get two sturdy cardboard boxes, each having perfect slots for storing 6 multicolored strips of slides with 4 exciting and easy to see slides on each strip. More animals! You get sheep hair, canary feather, cat hair, dog hair. You get more plant slides - stem of bellowed by all kids corn on a cob would be really fun to examine! More insects - explore the details of the bee and even a dragonfly wing! More textiles, more pollen and spores, the most fun, really tiny creatures. 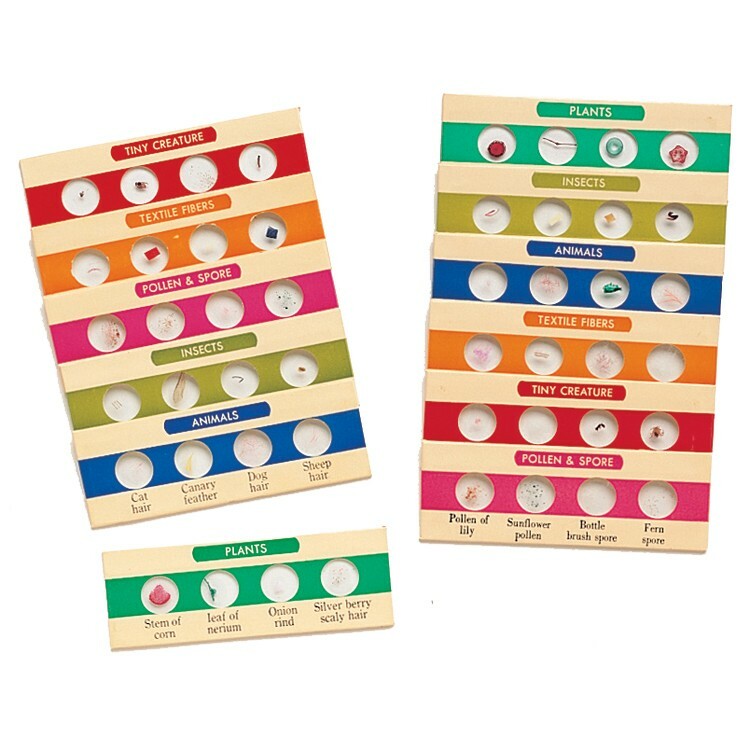 Educational Toys Planet is especially fond of the creatures included in this set: red sea sponge, mouse fur, a whole ant, Angora rabbit hair in one set of slides and fruit fly, plant louse, shrimp egg and silk worm larva! 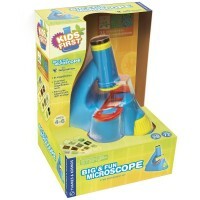 An amazing gift for your budding microbiologist would captivate your kid for hours! 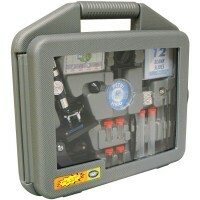 Dimensions of package 4.6" x 9.5" x 0.1"
Write your own review of Prepared Microscope Slides Combo Set (48 Specimens). Rating: 5 by Debbie, TN The slides look very good under our microscope.